For over 50 years SICO® has been manufacturing the Original Portable Dance Floor that has become the standard in the industry. 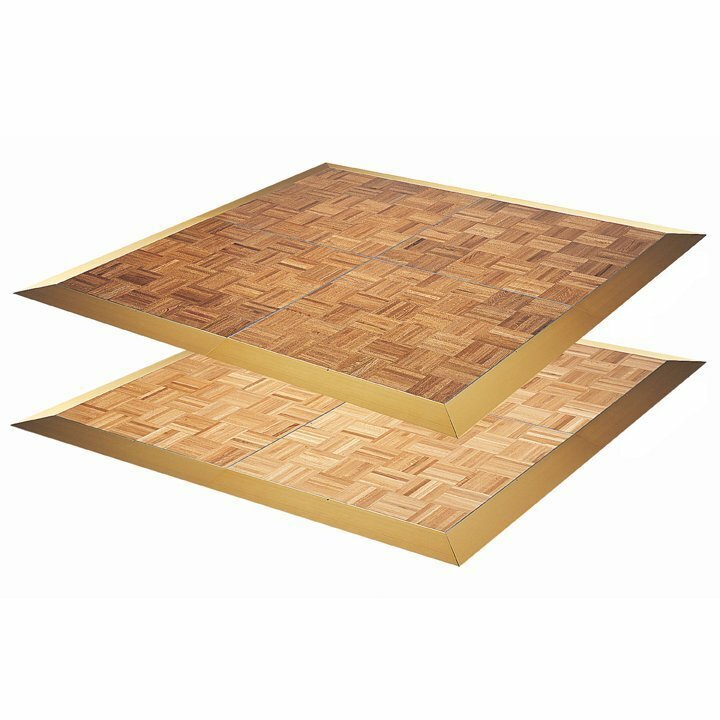 Each 3' x 3' (91 cm x 91 cm) wood parquet panel weighs only 40 lbs (18 kg), and is protected by a strong aluminum edge trim for maximum durability. 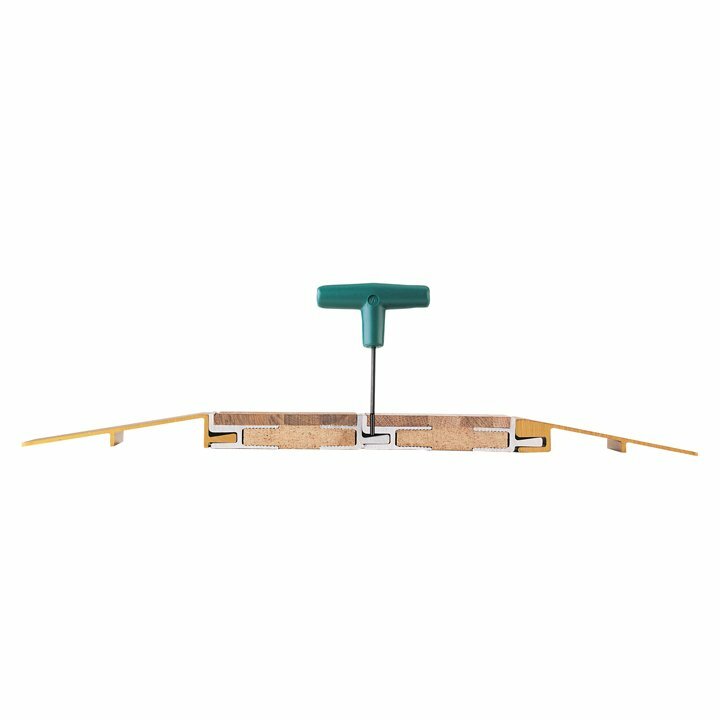 This floor has a set-screw locking system that features a unique screw-thread insert for a tighter fit, superior stability and maximum longevity. 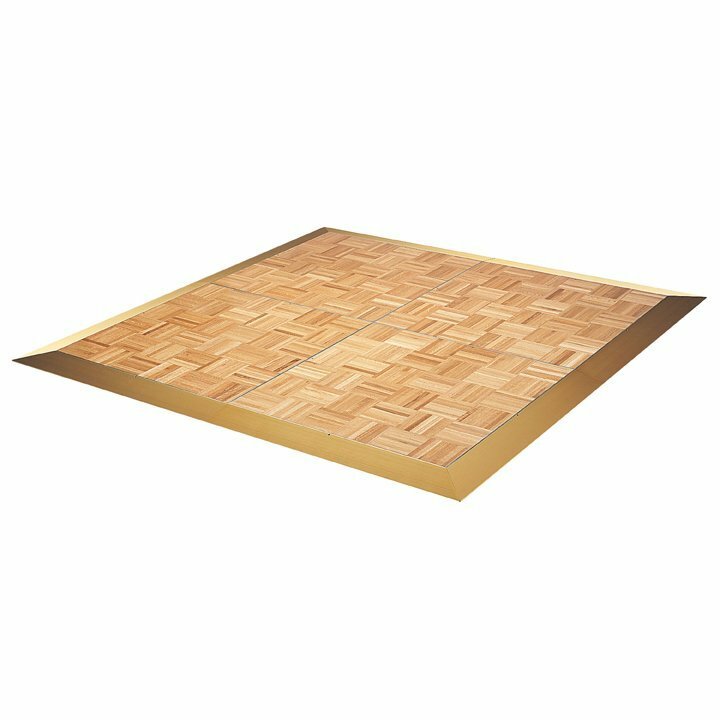 SICO® uses only the highest-quality wood parquet and guarantees the square-ness of every panel, making set up and take down easy. The back of each panel is coated with a high-grade polymer to act as a protective barrier to moisture. The SICO® Visi-Trim Edging highlights the edge of the floor for your guests, providing a modest 11° slope in a broad 5" width (127 mm) — to help reduce the risk of trips and falls. 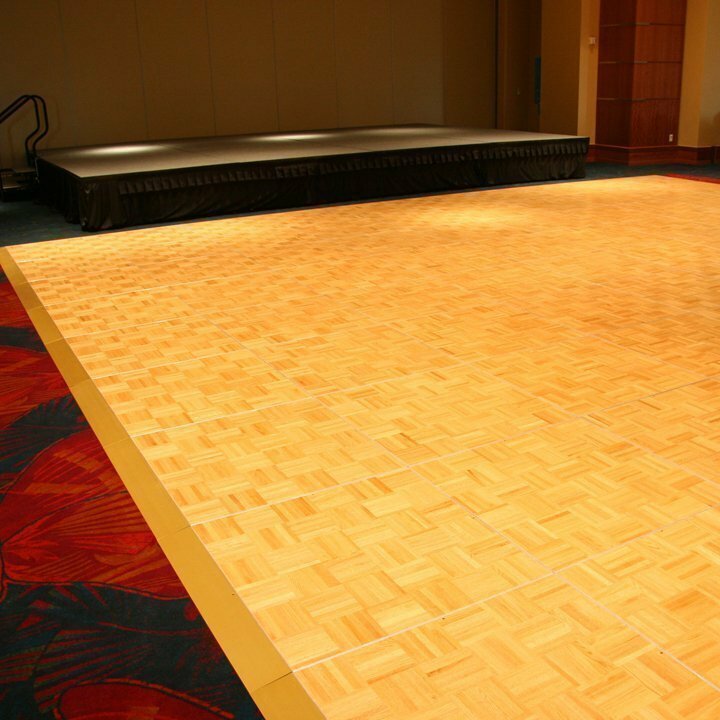 The 3 ‘x 3’ Dance Floor Caddy is built to fit the Original or Cam-Lock Dance Floor Panels. 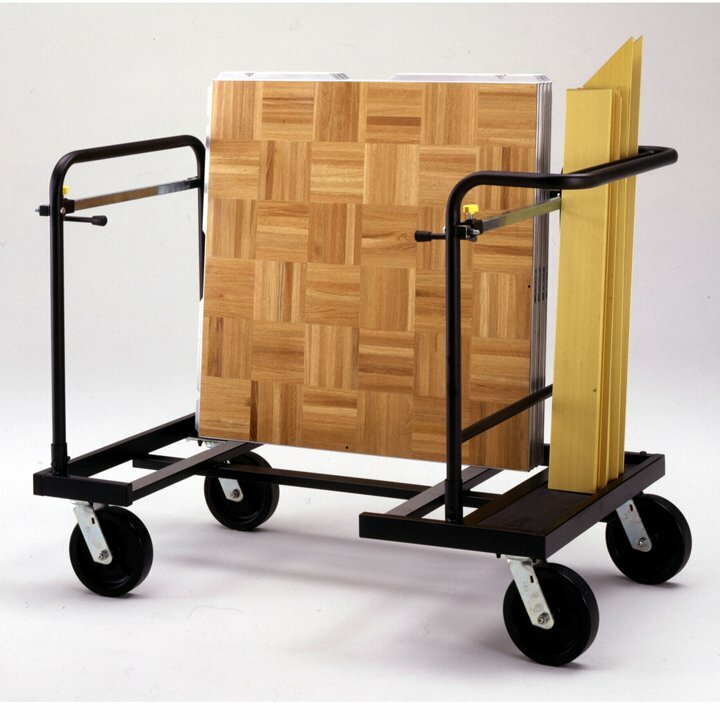 3′ panel dance floor caddy has a capacity of 25 panels and 20 trim pieces. 8″ (20 cm) casters.